Wake Forest University recently had some big names in town for their annual concert, cleverly called “WakeStock.” The university brought in hip-hop stars, Macklemore & Ryan Lewis, and Kendrick Lamar to perform at the concert, but the highly anticipated event fell short due to crowd control issues. Macklemore & Ryan Lewis, who recently hit unfathomable stardom with their song, “Thrift Shop,” were the headliners for the show, and their set was forced to end early due to a faulty crowd control barrier. The school hired an entertainment company that used some sort of outdoor barrier to create a separation between the audience and the stage. This method was working until a broken pin closed the gap between the stage and the audience. The school’s security, worried about injuries, attempted to hold the barricade together, but it wasn’t enough. 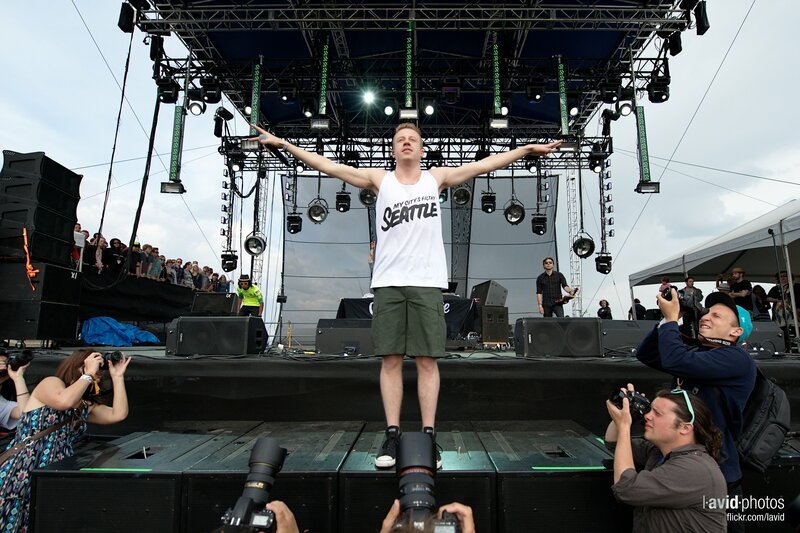 The gap kept getting smaller, and school officials paused Macklemore’s set, asking the crowd to move back. Police were successful in pushing the crowd back, and Macklemore began to play again, but not for long. The technical director for the entertainment company rejected the claims made by the rap star, saying, “The barricade we brought to Wake Forest is crowd friendly and tough.” He said they used the very same barricade at much larger events, including a concert on New Years Eve that had a crowd of over 13,000 people. It’s unconfirmed as to what kind of barricade the entertainment company was using. Generally, these barricades are not very tall – usually around 4-feet. Some might wonder how a barricade that size could keep separation; why the crowd wouldn’t just hop over. The answer is simple. The barricades help form an orderly atmosphere. They help security personell monitor the crowd. If one person jumps, security can address the problem. If the whole thing comes down, control is lost. When used properly, bike rack barricades are a sufficient means for controlling outdoor crowds. The barricades are made from 16 gauge steel with an interlocking system that allows for easy connection and system extension. No matter the size of the area, you can connect the 8-foot barricades to create a sufficient barrier. 1.) The equipment is imperative to overall security. Communicate law and order to attendees by creating a safe, controlled atmosphere, and that’s what you’ll get. 2.) Check your equipment. Purchase quality equipment to start, and be sure to give a thorough test to each piece before every event.